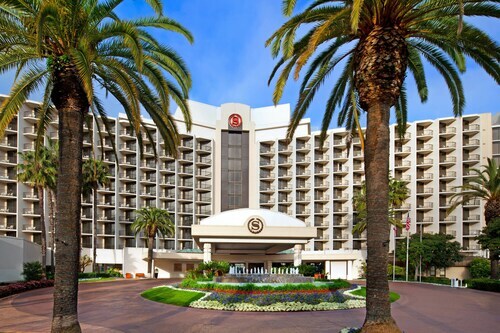 Situated on San Diego Bay with its own marina, the Sheraton San Diego Hotel and Marina is 1 mile (1.6 km) away from San Diego International Airport, and just 10 minutes by car from the San Diego Zoo, Sea World, Old Town, the Gaslamp District, Liberty Station and the convention center. 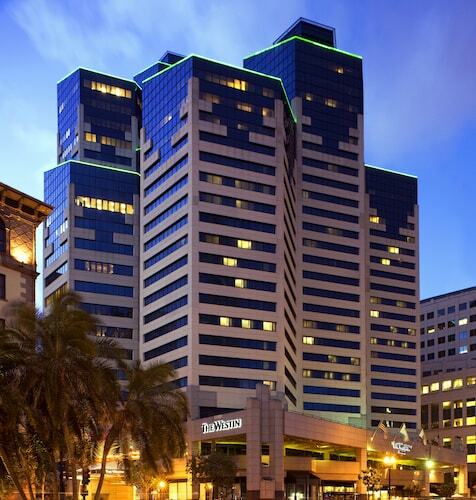 This 14-story hotel is just off I-8, within a few minutes from Mission Valley malls, Balboa Park and Old Town San Diego; Qualcomm Stadium is just a 10-minute drive away. 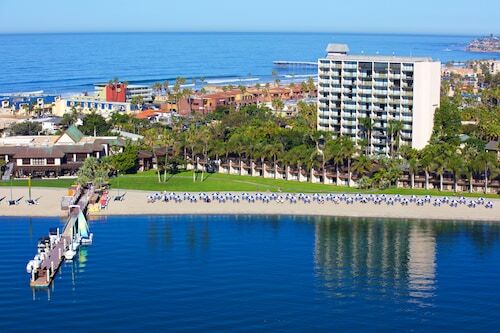 Paradise Point Resort & Spa is on a private tropical island in San Diego’s Mission Bay. 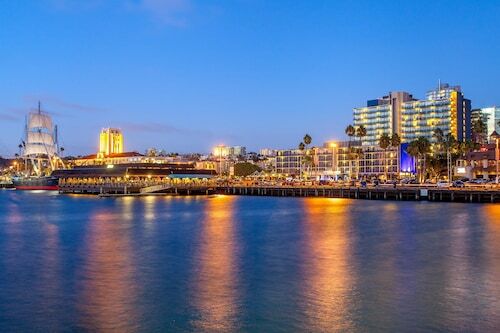 SeaWorld® is a 4-minute drive away over Mission Bay’s South Cove, and it’s 9 minutes to the adobe buildings and craft demonstrations at Old Town San Diego. The resort is a 15-minute drive from the city center. The best part about staying in Imperial Beach 4 star hotels is that you’ll often be close to all the local sights and attractions. Whether you’re visiting the area for the first time or you’re back in town for more fun, a 4 star hotel is going to put you right in the heart of all the action. 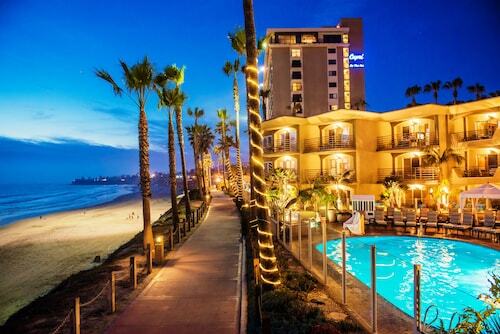 The best four star hotels in Imperial Beach will also frequently include access to high-quality fitness centers and pools, so you’ll feel like you’re staying in an exclusive resort rather than a hotel. You won’t have any excuse for not keeping up with your workout routine! 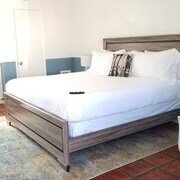 If you’re looking for 4 star hotels in Imperial Beach, you’ll find the most bang for your buck by booking your stay with Travelocity. 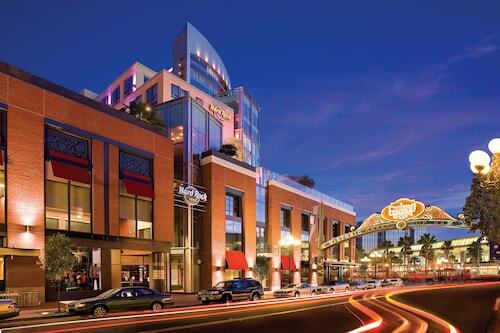 Go explore a new city, and know you’re getting the best deal on a great hotel with the Travelocity Price Guarantee. Ocean View 3 Bedrooms Condo, Just Steps From the Park, Pier & Water! Ocean? We got it! Night Time fun and Awesome Ocean Front Walks, Park for Kids ! Huge Modern Private Beachfront Patio. Restaurant in Bldg. +2 Free Garage Spaces! Ib/coronado GEM Spacious NEW Townhome 2 CAR Garage. Brand New! Elegant, Light!